» The Tommy John Epidemic: What’s Behind the Rapid Increase of Pitchers Undergoing Elbow Surgery? The Tommy John Epidemic: What’s Behind the Rapid Increase of Pitchers Undergoing Elbow Surgery? Tommy John surgeries are ripping through baseball at a faster pace than ever before. Twenty-five percent of active MLB pitchers have had the procedure, which reconstructs a pitcher’s torn ulnar collateral ligament, as have 15 percent of current minor league pitchers. 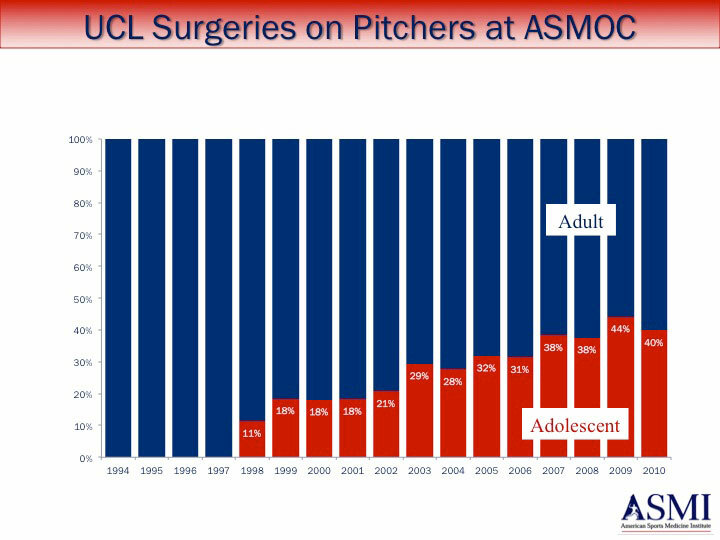 Last season was particularly distressing: More pitchers had the surgery in 2014 than in the entirety of the 1990s. The trend shows no signs of slowing down. The latest pitcher to suffer major UCL damage is Yu Darvish. The Texas Rangers ace meets today with Dr. David Altchek, the Mets’ team physician and an expert in TJ surgery. 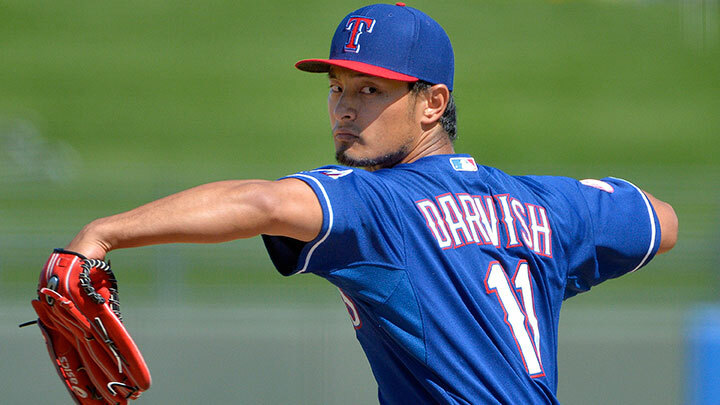 Although no decision had been made at the time this post was published, the chatter leading up to today suggests that Darvish might soon become the next ace to go under the knife. Now here’s the scariest part: While Tommy John surgery has a high success rate, 20 percent of pitchers never make it back to their previous level of performance. Dr. Glenn Fleisig has made a career out of examining arm injuries and looking for ways to curb them. The research director at the American Sports Medicine Institute and adviser to Little League, USA Baseball, and Major League Baseball has studied everything from pitch counts to injury rates from youth to pro levels. He and Stan Conte of the Los Angeles Dodgers conducted the study that found how many major and minor leaguers have undergone the procedure. So, after his presentation at the recent MIT Sloan Sports Analytics Conference, I sat down with Fleisig to discuss the Tommy John epidemic, why it’s happening, and what (if anything) can be done about it. What’s causes these tears and the surgeries that follow? When the arm is cocked back, there’s a large — what we call — varus torque. See, if I push your arm back, you feel the elbow here. [Fleisig has me put my arm up in a 90 degree angle, then he pushes my forearm backward. Even with a gentle push of a few degrees, it doesn’t take long before this starts to hurt.] In this position, it’s 100 newton meters of torque. A bowling ball weighs 12 pounds, let’s say. If you put a bowling ball in your hand, imagine what your elbow would feel like. That would not be 100 newton meters. One hundred newton meters would be 60 pounds. Five bowling balls. Picture five bowling balls of force. That’s the stress of that instant in the elbow. Because of the arm speed or because the pitcher has his forearm cocked that far back? The arm speed. Your body’s going forward and your arm’s whipping back. This is the torque, the rotational force, to stop your arm from whipping back and get it going forward. The ulnar collateral ligament, which is the Tommy John ligament, is stressed here. If you bend an elbow like that, the UCL provides about half of the resistance. So this tiny ligament in a pitcher’s elbow has to withstand 55 newton meters. When we try to test the UCL in cadavers, it breaks at 32 newton meters. So in a way, that’s saying that on every single pitch, your ligament should break. So it’s a damn miracle that it doesn’t happen? Well, the truth is these dead guys and dead ladies we have are not as muscularly strong and “tendonly” strong as the pitchers. But it does seem to suggest that your ligament’s about at its maximum stress at every pitch. OK, that’s terrifying. But pitching has always caused stress in arms. What changed that resulted in surgeries becoming so much more frequent? Right, the reality is there are more surgeries. So are there more surgeries because there are more injuries? Are we better at finding them? Are there more surgeries because there are more injuries, or are there more surgeries because we’re better at finding the injuries? Or, when we find them, are the doctors more willing to do surgery? Or are patients more willing to have surgery? I think a lot of these things could be happening. I honestly don’t think that the surgeons are willing to do more surgeries. For them, it’s usually the last resort. Dr. [Christopher] Ahmad is the team doctor for the Yankees. He did a survey of people in the New York City area, asking high school pitchers, college baseball players, parents, and coaches, “What do you think the success rate [of Tommy John] is?” They think two-thirds of people have a successful surgery. Now get this: One-third to half of them think they’ll have better velocity after the surgery. Even scarier: Twenty-five to 50 percent of them think you could you have surgery sometimes without even having the injury, just to make your elbow stronger. Now for the reality: There were three studies published in the American Journal of Sports Medicine recently, and they all looked at everyone who had Tommy John surgery as a major league pitcher since 1999. Of the three studies, one had 38 major leaguers who’d had Tommy John surgery, another had 147, and another had 179. They each found a control group of equally skilled, statistically similar baseball pitchers who were healthy. One study said that the performance of the guys with Tommy John surgery went up more than the control group. But these other two studies said performance actually went down after Tommy John surgery — and they went down the same as the control group went down. It’s tough to say what happened in that first study. But the other two studies seem to say that after Tommy John surgery your stats will be essentially what they should’ve been had you never had an injury — no better, no worse. Also, these three studies looked at how many actually made it back for at least one game in the majors: 80 percent. If you isolate pitchers who made it back and stayed, only 67 percent made it back to the major league level. How long should we expect a pitcher to be out after TJ nowadays? On average, I think they should be back to competition in 12 months. They might be sent down to a minor league rehab assignment or it might be the offseason, but if a major league guy has surgery in July, the fans can expect him to be back next July. However, his stats won’t be as good that first year. Improper mechanics decreases ball velocity. Improper mechanics also increases the stress of the elbow and shoulders. We went to spring training a year ago and we studied 40 minor leaguers who had Tommy John surgery and 40 who had never been hurt. For the guys who had Tommy John surgery, we wanted to look at whether they had messed up their arm motion afterward. Because they were favoring the injury, or because they were out of practice? Favoring the injury. Again, aside from our science, these guys were back in spring training. Turns out, both the Tommy John group and the control group, they all threw 85 miles per hour or so in spring training when we tested them, and then had no differences in their flexibility or in their biomechanics. What about the 20 percent of pitchers who don’t make it back? We were at spring training. We weren’t testing the guy who went home to the farm or is out selling cars. Here, look at this. This is a graph of surgeries done at our center. For a while, there were none in youth leagues or high school. Then they started happening, and trending up. Back in the mid-1990s, 100 percent of our patients were adults. By the time we get to 2010, [the adolescent rate is] pushing 40 percent. So is this strictly overuse? Right. We found out that the ones who had surgery tended to be the ones who would throw more than 80 pitches in a game, the ones who pitched more than eight months per year. Again, this was 15- to 20-year-old kids. The pitchers who have surgery were almost always the ones who kept pitching when they were fatigued. The basic problem is that too much pitching leads to injuries. People ask me all the time, “Is pitching natural?” I would say that excessive pitching, throwing 100 full-effort pitches every fifth day, is not natural. No, for anyone. In the history of humans and anatomy, we weren’t born to pitch 100 full-effort pitches every fifth day. Throwing is natural, throwing excessively is not natural. And so, basically, you want to avoid too much competitive pitching, but also avoid too little. They should be throwing, but also playing multiple sports as kids. OK, so don’t throw too many pitches. What about throwing curveballs at a young age? We’ve heard that’s dangerous. Is it? Doctors, trainers, everyone’s been saying curveballs are dangerous, including Dr. [James] Andrews. We were saying you shouldn’t be throwing a curveball until you’re old enough to shave. We did a lot of research. We did a lot of studies, and we have not been able to prove it. We didn’t prove curveballs are safe necessarily, but we failed to prove they were especially dangerous. There seems to be more younger big league guys breaking down and having surgery than before. Does the data support that? Yes, and it’s not a coincidence. Up until the 1990s, kids played multiple sports, and then kids started specializing, whether it was cycling or whether it was playing baseball or whatever. What happened is that our trend for more youth and high school injuries correlated with kids shifting to “I’m a baseball player. I’m gonna play 10 months a year. I’m on my Little League team, but I’m also on this travel team.” There was no such thing before. These Matt Harveys, Jose Fernandezes — this is the first generation that’s the year-round one-sport generation. So today’s young pro pitcher shows up with more damage in his ligaments and tendons because he didn’t play multiple sports. He just pitched, and he’s been getting little, microscopic, undetected injuries. Once he becomes a pro, it’s already slightly torn. So if the patients are coming in and they’re more willing to do it, but doctors are still resistant, does that mean we’re just better at detecting injuries now? Yeah. We didn’t have MRIs and this and that years ago. I mean, shoot, I talked to Dr. [Frank] Jobe before he died, and he did surgery on Tommy John. 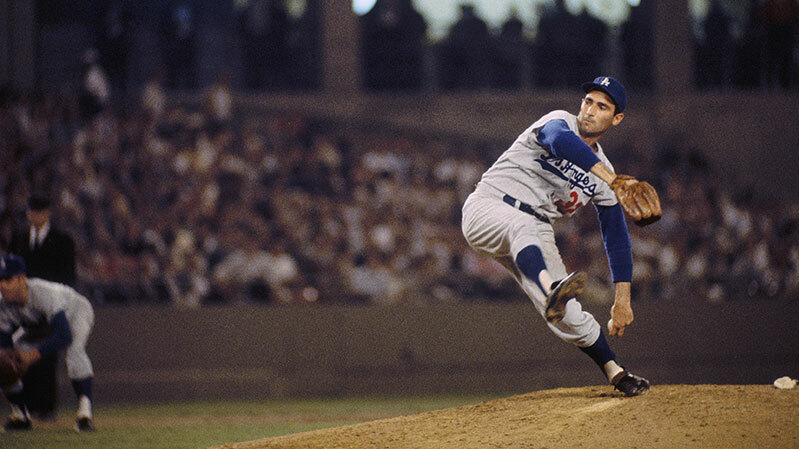 He said, looking back, he thinks Sandy Koufax had a Tommy John injury. What about velocity? We have a generation of pitchers throwing harder than ever before. Velocity is a factor. All things being equal, throwing 95 miles per hour is more stressful than throwing 90. But throwing 95 miles per hour with good mechanics is less stressful than throwing 90 miles per hour with bad mechanics. Throwing 95 miles per hour with proper rest is less dangerous than throwing 90 miles per hour without rest. Pitch-count monitoring has become really aggressive now in the majors, even in the minors. Do you think that’s preventing even more injuries? Could this be worse? Despite the small distribution of people who happen to be high school coaches, is there any way to increase the likelihood of teaching good mechanics across the board? A lot of what we’re trying to do is not teach the individual pitchers, but teach the coaches. Maybe two years from now, maybe 20 years from now, biomechanics analysis might become as readily available as radar guns. If you’re a major league team looking for a market inefficiency, is it as simple as seeing if the coach at your Texas high school team pushed his pitchers too hard? So there’s an interesting study: More of the successful, Hall of Fame–type pitchers come from up north. And more of the hitters come from everywhere — a lot of them are from the South. And yes, if I’m a team, and I could draft a pitcher who pitched year-round, I’d be very hesitant. So the inefficiency could be this kid from Vermont from a lowly touted high school who has an electric arm but doesn’t pitch that much.